The Marketo Marketing Nation Summit 2015 is underway, and while over 6,000 marketers and industry leaders continue to network, celebrate innovation and share fresh tactics on how to achieve marketing goals, the LinkedIn Marketing team is feeling inspired. As we wrap up the first day of sessions, we feel compelled to share 7 takeaways that resonated with our team. Check out our favorite tweets from the Summit by following along at @LinkedInMktg and be sure to stop by our LinkedIn Lounge, located at Booth 502 to learn more about our newly enhanced product suite, including LinkedIn Lead Accelerator. You'll also receive a complimentary copy of Russ Glass & Sean Callahan’s debut masterpiece, The Big Data-Driven Business: How to Use Big Data to Win Customers, Beat Competitors, and Boost Profits. 1. Connect with customers through engagement marketing. He also pointed out that the campaign approach is also becoming a thing of the past. What is taking over, he said, is engagement marketing, where marketers address each prospect and customer with a message that is as personalized as possible. Stop thinking about what campaign you’re going to build next and start listening to what customers want. Take your customers on individual journeys. 2. Add value regularly to move from being useful to being indispensable. Arianna Huffington, President & Editor in Chief of The Huffington Post Media Group, took us all on a journey this morning, sharing personal anecdotes from her experience and lessons learned in the trenches. One such lesson was this: customers become loyal readers when you add value to their lives. By regularly adding value, she said, you can move from ‘being useful to becoming indispensable’. How does one achieve this? By covering topics that people are already preoccupied with. Addressing the issues of readers is the number one way to create a sense of community and loyal following. For example, Huffington Post created a 'divorce' section because they saw the need. (For fear of seeming overly pessimistic, they also created a ‘wedding’ section a couple of months later.) "We create content to inform and inspire; to entertain and empower,” Huffington said. Arianna also shared how The Huffington Post continues to evolve. "We continue to disrupt ourselves. We don't remain complacent because we are The Huffington Post." Furthermore, she stressed the importance of diversifying content. "Reporting only bad news gives a limited vision of the world. Let's also report on what's working, the compassion." 3. Study the greats. Schedule time for creativity. Be prolific. 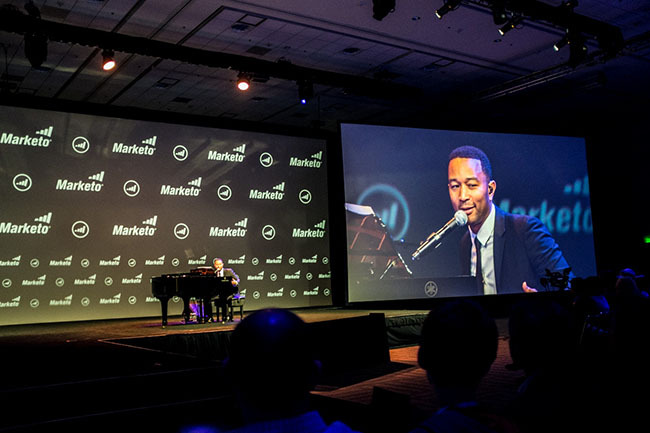 Singer-songwriter, producer, philanthropist and nine-time Grammy award winner John Legend wrapped up this morning’s incredible keynotes with an amazing performance served with a side of storytelling and inspiration for marketers. “To be great you have to study the greats.” Legend told the crowd. 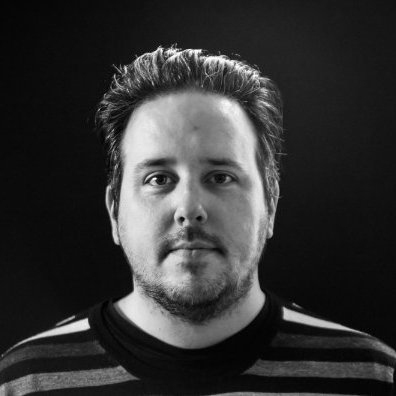 “I studied Al Green, Stevie Wonder and Billie Holiday to name a few and they taught me what I needed to know to be great at songwriting.“ The takeaway for marketers here is to do the same. Who inspires you as a marketer? Is it Ann Handley, David Ogilvy, or your CMO? Whomever it may be, take notes, follow them and apply those lessons to your own trade. Legend also gave his advice on becoming inspired to create. “Always be open to inspiration, and schedule time for creativity.” Legend books studio blocks so he’s accountable for his time and he won’t procrastinate. Even though songwriting is fun, he treats it as a real job. The takeaway for marketers is to constantly be looking for inspiration in everything you do and schedule time to brainstorm ideas. 4. Nurturing audiences across channels is the new black. With the announcement of the LinkedIn and Marketo joint nurture solution during Phil Fernandez's keynote, our own Russ Glass's lead nurturing session was a timely one to seamlessly connect marketers to the practical application of this new partnership. In a nutshell, LinkedIn Lead Accelerator enables Marketo users to nurture both anonymous and known contacts using display and social advertising, expanding their lead nurturing efforts beyond just email. “Traditional lead nurturing strategies are limited,” Glass explained. Email marketing, for instance, doesn’t reach the 80 percent of a database that doesn’t regularly open emails, nor does it reach the 95 percent of website visitors who don’t share their email address. As a pilot customer of LinkedIn Lead Accelerator via the Marketo platform, GE’s Lawrence DiCapua said that the company has seen positive early results, explaining that “Marketo delivers a single view of the customer, while LinkedIn is the ‘dominant B2B content and performance delivery network.’” For GE, both companies have become a core part of their native ecosystem for relationship marketing, enabling success in reaching and nurturing their audiences where they are investing time. 5. Marketing moments are everywhere. Jeff Pundyk, VP-Global Content Solutions, for The Economist, made the case in his presentation, “The Rise of the Marketer,” that the CMO and the marketing department have never been so critical to the success of an organization. Pundyk said that “marketing moments” are everywhere – from the times a customer interacts with your call center, visits your website, or uses your product or service. And whether the experience is good or bad, the customer has the capability to share their opinions via their social media accounts. In this changed world, The Economist’s research found that 80 percent of marketing executives worldwide say they need to restructure marketing. And 29 percent say the need for change is urgent. Marketing must transform from a cost center to a revenue source. Marketing must lead the customer experience. Marketing must adopt a customer engagement mindset. Digital and data must dominate investment. 6. Leverage technology to structure more relevant experiences. In his presentation, Brinker argued that modern marketers must think about getting in front of online consumers early and often, during that “zero moment of truth”, and challenging ourselves to think less about just creating communications to help buyers picture their life with our products, but instead to think about helping them actually experience it. To do this, Brinker says we must embrace the opportunity to structure experiences with the help of technology -- and that often requires a different skillset today; one that combines not only the artful creation of compelling content, but also the science of programming messages to impactfully reach consumers when they are most likely to engage with your brand. As Brinker points out, software can be how marketing “sees” and “touches” it audiences. It’s up to us to outline the best strategy -- in partnership with technology solutions -- to deliver desirable experiences, and ultimately value, to those audiences. 7. Social can be a revenue driver, if focused on the right things. During a panel discussion led by Porter Gale, Hootsuite’s Cameron Uganec, Adroll’s Jackie Lamping, TrackMaven’s Allen Gannett, and Pedowitz Group’s Caitlin Culbert tackled the question of “Can social actually drive revenue?” More importantly, they discussed how social media marketers today can actually put revenue driving practices into action. Lastly, as tech advances and we all seek to tackle the challenges of modern marketing today, Uganec reminded us that at the end of the day, we’re marketing to humans. So, keep social fun and focused on the people you’re touching, not the products you’re selling. Thanks to my people -- Alex, Deanna, and Sean -- for their help pulling together these insights! We look forward to bringing you more from Day 2 at the Marketing Nation Summit. Stay tuned. Feeling inspired by these takeaways? Keep that good feeling going. Subscribe to our LinkedIn Marketing blog for marketing inspiration delivered to your inbox.